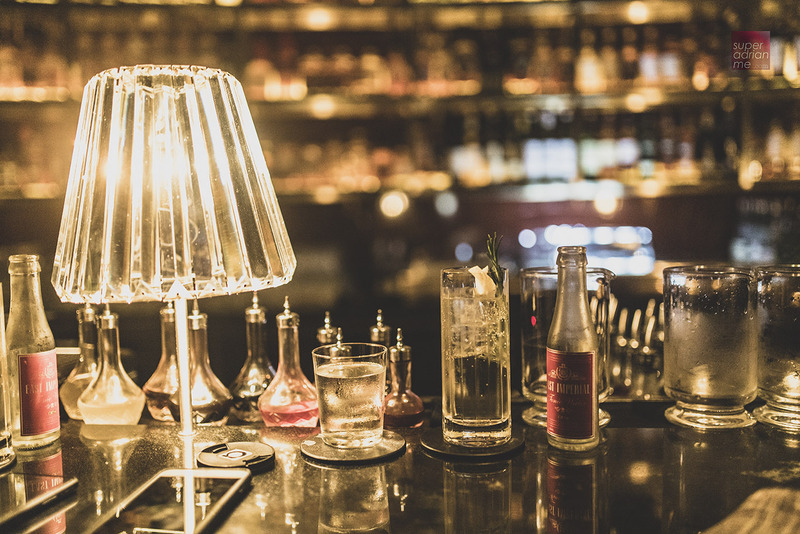 The East Imperial Gin Jubilee is back in Singapore for the finale for a week from 30 November till 8 December 2018. 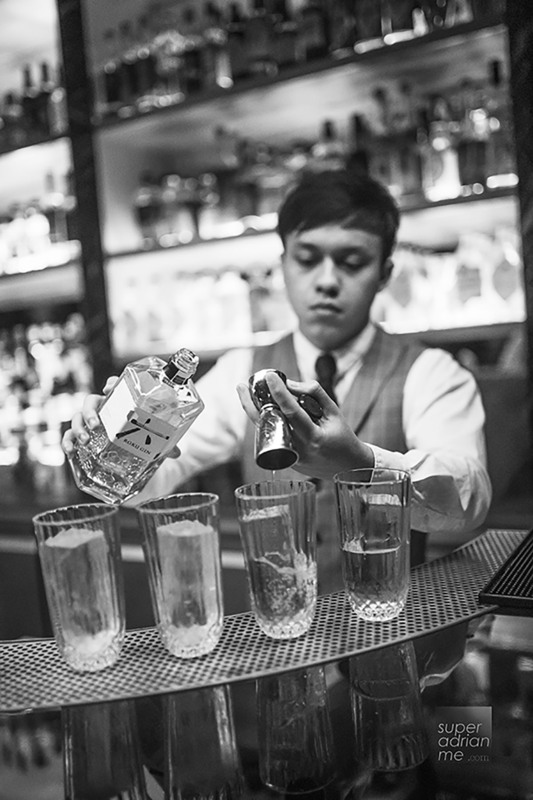 Singapore is the final stop of a five-city tour of the region with over 20 partner brands and 40 participating bars. It is time to go out there and enjoy Gin & Tonic. Featured here are two Gin & Tonics created with Japan’s Roku Gin. Joash Conceicao at Jigger & Pony has created Hanakotoba with Roku Gin with Sakura Syrup, Chrysanthemum Tincture with Yuzu tonic and garnished with a cinnamon stick and Sakura flower. The syrup is created by brewing sweet Sakura tea with sugar and the tincture is from dried Chrysanthemum flowers sous vide with Roku gin to produce its floral flavour. Shunkashuto is a refreshing tipple with citrus overtones and a lingering nutty finish. It is concocted with Roku Gin, spiced pear liquor infused with Regent tea blend, hazelnut liquor, East Imperial Burma tonic and garnished with rosemary and lemon peel. Enjoy a couple of glasses of this before moving not to something stronger. Shunkashuto is priced at S$23++. Happening on 8 December 2018 from 5 to 11.30 pm at 30 Maxwell Road, the East Imperial Gin Lane will cost you S$20 that comes with a metal East Imperial Cup and bamboo straw or S$15 if you bring your own cup. It is the organiser’s effort to go green. Drinks cost S$12. This is the grand finale of East Imperial Gin Jubilee 2018 and you can enjoy drinks from each of the participating brands. Food and drinks are available for purchase. 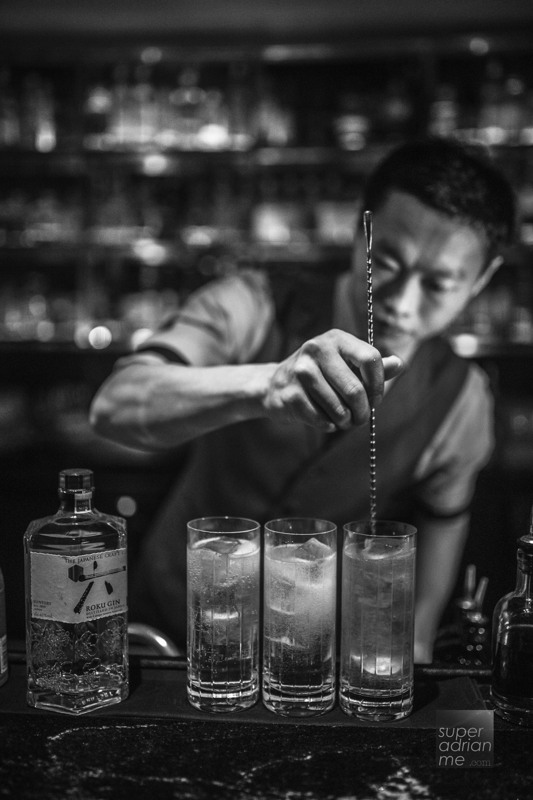 Gin Lane will uniquely feature drink- and dining-ware produced using the eco packaging technology by Singapore outfit TRIA. Their Bio24 food waste recycling programme, which will be activated during Gin Lane, will convert food and cocktail garnish scraps, cups and cutlery collected on the night into rich organic fertiliser that can be put back into the earth.